To celebrate this big milestone I wanna hold a giveaway, with multiple winners! 3rd winner gets one (1) book of their choice, up to 10US$ value. UPDATE – I reached 1839 followers so I’m adding a 4th winner! 4th winner gets one (1) book of their choice, up to 10$ value. But it doesn't ends there. For every 100 followers I gain (so 1839, 1939, etc.) I will add another winner who gets to pick one (1) book of their choice, up to 10US$ value. - Yon don't have to be a followers, but why not be one? *winks* I have a HUGE event in the making for August, and you don't wanna miss out. - Winners will be announced on July 31st and must revisit to claim their prize. If a prize isn't claimed it will be null. Congratulations on your blog-anniversary!!! I wish you many, many more! I would love to order Another Kind of Dead by Kelly Meding and One Grave at a Time by Jeaniene Frost. Thank you for the contest! Congratulations, Tynga! Woot! 2 years, wow. And thanks for throwing this awesome giveaway. If I were to win I'd pick...not sure. 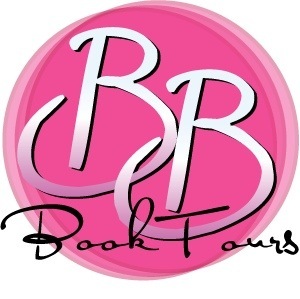 Perhaps Supernaturally by Kiersten White? Hmm, it's a tough decision, but I think I would like 'Shade' and 'Shift' by Jeri Smith-Ready. I read them from the library and really enjoyed them, so I'd love my own copies. Congrats! I'm not sure what I'd like to buy. Maybe Hush, Hush or Delirium. I would choose The Various by Steve Augarde. Books?! BloodWounds, Away, anything by Andrews or Monk. I think I would have to get Mira Grant's Feed and Deadline. I have them in ebook, but want print copies too! Second, Supernaturally by Kierstan White and Never Cry Wolf by Cynthia Eden. Thanks for the opportunity and congrats again!! Congrats on two strong years of blogging!! I think if I won I would choose to buy Hourglass or Midnight in the Garden of Good and Evil....they have both been on my to-read list for a while now although I haven't purchased them! Thanks for the great giveaway! I would probably pick one of Melissa de le cruz's blood bloods books. Oh, I also added the super cute anniversary button to my blog sidebar. I would have loved to get After the Golden Age by Carrie Vaughn. Hmm, which books... Well I think I would have to get Divergent and The End of Everything. Or maybe Wither? So many to choose from! Thank you for this awesome giveaway! Thanks! : ) And, of course, Congrats! 2 years! Wow! Thanks for the giveaway! On my wishlist is... Deadline by Mira Grant, Labyrinth by Kat Richardson, the Way of Shadows by Brent Weeks, and Grave Dance by Kalayna Price (coming out next week). I want to get the rest of Kevin Hearnes' trilogy - Hexed and Hammered, Lara Adrian's Deeper Than Midnight, Devon Monk's Dead Iron, Carrie Vaughn's Kitty's Big Trouble, Michelle Rowen's Nightshade, and Gail Carriger's Heartless - and the list goes on and on, LOL. I really want to get If I Stay and Where She Went by Gayle Forman. I'm not sure what else--there's just so many! +5 I posted your button on my LJ. Congrats on your 2 years and thanks for the great giveaway! It's so hard to choose but I think I would get The Vampire Next Door and Feed. I would do some pre-ordering of Retribution by Sherrilyn Kenyon, Kitty's Big Trouble by Carrie Vaughn, and Waking Up With the Duke by Lorraine Heath. I think I would get Nevermore or Supernaturally. Congrats on the two year mark! There are so many books on my wishlist, but I think I'd really like to pick up Born at Midnight by CC Hunter. Congrats on 2 years! Here's to number 3! 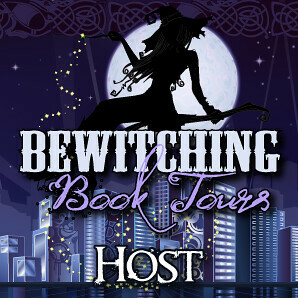 I would pick Magic on the Line by Devon Monk or Death Magic by Eileen Wilks. I'm not sure what I would buy..I have thousands of books on my wishlist, so probably I'll pick one of my list. Maybe the sequel from The Forest of Hands and Teeth. Congrats =) I've followed your blog for a while now. It's definitely a cool blog...thanks. Thanks for the giveaway also. I'd pick Clockwork Angel or a book I know I want to put on my bookshelf if I win. There are a couple of series I've been reading so I'd like to add to them. Aprilynne Pike is one. Woot Woot! Congratulations Tynga! And what a AWESOME 2 years it's been! I'm not a big commenter, but you can be certain I "hang" about your place quite a bit! CONGRATS & IM A NEW FOLLOWER! PS I love your YT videos! I would love Throat by RA Nelson. Happy Blogoversary! :) Wow 2 years - that is amazing! Happy blog anniversary & thanks for the giveaway! I have sooo many books on my wishlist, it's hard to choose. I think I'd order Wolfsbane by Andrea Cremer, Hourglass by Myra McEntire, or Blood Red Road by Moira Young. I'm really looking forward to all 3 of them. Congratulations on your 2nd blogiversary!!!! Happy Blogoversary. :) Thanks for the giveaway! I'd love Sean Griswold's Head and/or Between Shades of Gray and/or Across the Universe. I've read the last two, but haven't got finished copies just yet. :P You can't expect me to pick just one book! A very happy second blogoversary to you!!! Congratso n 2 years. That is awesome. I would get Supernaturally and Forget My Fins I think. You rock! <3 you :). Congratulations, Tynga! And thanks for throwing this awesome giveaway.I might choose The Iron Daughter/The Iron Queen by Julie Kagawa. And thank you for hosting this awesome contest! If I won I'd probably want THE PIPER'S SON by Melina Marchetta or DUST & DECAY by Jonathon Maberry. I have a couple authors on my 'To Be Bought As Soon As I Can' List: Kevin Hearne. Mira Grant. Gail Carriger. Diana Rowland. And soooo many more... :) One (or more?) of them, for sure! Happy blogoversary! And thanks for the international contest! My daughter is a huge fan of Terry Pratchett, so I would like to build up her library collection. Delirium and Clockwork Angel is already on my BD's wishlist. Thanks for the chance. Happy Blogoversary!! Congrats for sticking with it for 2 years. Happy Blogiversary! Thanks for the giveaway! I'd love to get Fallen and Torment by Lauren Kate. Congrats and Thank you for the giveaway! Been following you ever since I started blogging too! Congratulations as 2 years is an age in the blogging world. Hope we will have you for many more years. I would probably go for The Book Thief. My oh my ... my wishlist is so long I wouldn't even know where to start *lol* so let's discuss my choice in case I win ;-) ! I'd pick Eyes of Crow by Jeri Smith-Ready and Touch of Frost by Jennifer Estep. You must be happy!! Just married and now the anniversary of the blog. Congratulations!! Congrats!!! 2 years is a long time! Love your blog and keep up the great reviews!!! If I win, I would love to buy a copy of Instructions to a Broken Heart and Falling for Hamlet! I added Button to sidebar! Left sidebar under Goodreads Widget! I would like to take Entwined by Heather Dixon or Divergent by Veronica Roth. Congrats! That is quite a milestone. I'd order as many of the WWW trilogy by Robert Sawyer as I could. Congrats on your blogoversary! This is an awesome giveaway. I don't know what books I want, I'm getting ready to leave so I can't think of any right off the top of my head. I'd like to buy as many books of the House of Night series. Awesome giveaway. I think I'd go for one of the British Harry Potter editions I don't yet have. Also Supernaturally. And maybe Eon or Eona by Alison Goodman. Happy Blogoversary.There are 2 books working up to the top of my wishlist. Right now the 2 books I want the most are Entwined by Heather Dixon and The Princess and the Hound by Mette Ivie Harrison. Wow! 2000! And now it's over 2000! Congrats! There are a ton of books I would want, makes it hard to decide. Definitely want Wolfsbane by Andrea Cremer as well! Aftertime and Enclave are books I have been wanting to read. Congrats Tynga on two years in the blog world. Happy Blogoversary! Thanks for the giveaway. I'd love to win What Happened to Goodbye by Sarah Dessen or Wither by Lauren DeStefano. Thanks for this chance :) I'd love win books by Sherrilyn Kenyon, J.R. Ward, Lara adrian or Jeanine Frost... well I think so. Happy Blogoversary! I would most likely choose Hourglass and Possession. congrats for the 2 years!!!! Thank you for such a generous giveaway! And for doing it international!! I would love to buy books by Ilona Andrews from Kate Daniels series. Congratulations once again, Tynga, and thanks for this fabulous giveaway! I would buy Uncommon Criminals by Ally Carter and Hourglass by Myra McEntire. I would order Lola And The Boy Next Door by Stephanie Perkins and Hexbound by Chloe Neill! Thanks for hosting the great giveaway! I think I'd have to go for "Miss Peregrine's Home for Peculiar Children" and maybe "Divergent"
I'd buy Along for the Ride by Sarah Dessen and Passion by Lauren Kate. Happy Blogoversary! I would pick Trial by Fire by Jennifer Lynn Barnes and maybe some other paperback book. There are so many books out there, I would probably get some books by Shayla Black because I have been wanting to read her one series. Happy Blogoversary!! I would love either Starcrossed by Josephine Angelini or Tiger's Curse by Colleen Houck. Thanks so much for the giveaway! Congratulations, Tynga! :D Thank you for this awesome giveaway. I'm an old blog follower. I would love to win Paranormalcy and Supernaturally. I would like to win Living Dead in Dallas and Dead to The World by Charlaine Harris. Happy Blogoversary! Hope you have many more! OMG SO MANY I WANT TO READ! One Grave at a Time by Jeaniene Frost. I would get Sweet Possession by Maya Banks, Breaking Point by Pamela Claire, Trace of Fever and Savor the Danger by Lori Foster. Congrats on the blogaversary. Thanks for the giveaway! Happy Blogoversary! Thanks for such an amazing giveaway! I would probably get Eternal Hunger by Laura Wright and Never Cry Wolf by Cynthia Eden. Congrats on the blogoversary! I would love Crooked Letter, Crooked Letter. Congrats! I would love to win Twisted by Gena Showalter and Hades by Alexandra Adornetto. Congratulations, at year 2 you're no longer a newbie! If I won, I'd probably get get Jess Haines deceivers series or the two series Ann Aguirre writes. I would really love Supernaturally or Die for Me!! I'd love to get a copy of Wither by Lauren DeStefano. Many congrats on the blogoversery! It's awsome - you're awsome! I'm a follower for a long time :) And I'd like to win Nightfall by Ellen Connor. posted button on my giveaways page! Thanks for a great giveaway! I love book choices :) I would pick Blood Red Road, Divergent, The Girl in the Steel Corset, or one of many, many others! Please enter me. I would love to buy a copy of the Duggars new book. new follower :) I would love to win The Iron King! thanks for the giveaway! I would love THE CLAN OF THE CAVE BEAR. The Body Finder three has a title… and a cover! Vampire Academy Takes over the World! A Call to Montreal (Qc, Canada) area Book Lovers! Mercy Thompson series gets a new look! The Cellar & Dead is Not an Option Giveaway! Time to announce some winners! 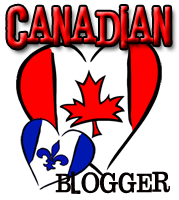 A call to Montreal Area Bloggers! Random Act of Kindness–June edition!